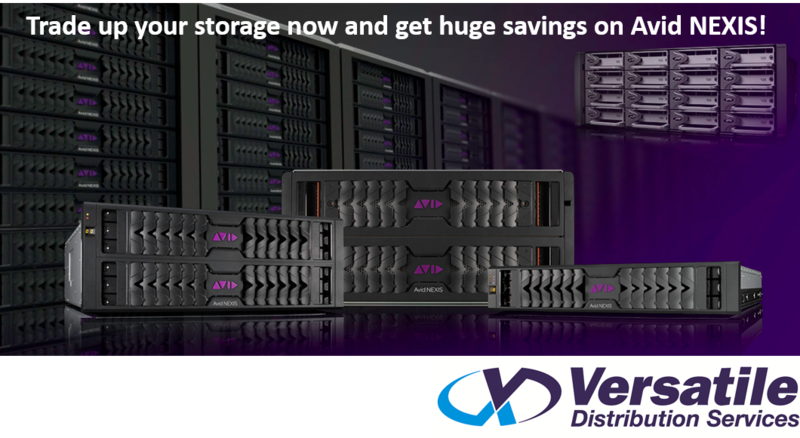 And now through September 18, 2018, you can get greater performance, protection, capacity, and savings when you trade in your old Avid ISIS or third-party storage system towards a more powerful and reliable Avid NEXIS shared storage or nearline solution. 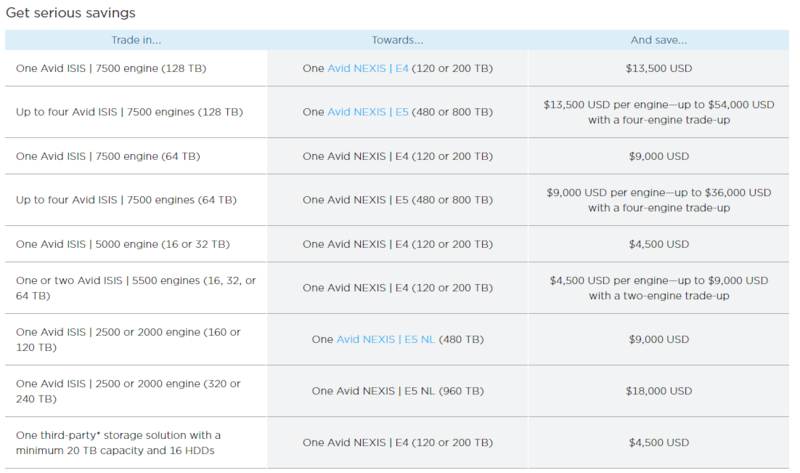 Put an end to production bottlenecks and your aging disk drive worries when you trade up to Avid NEXIS today. But hurry—this special offer expires September 18, 2018, so please make sure you notify you qualifying customers that this incredible offer ends soon.